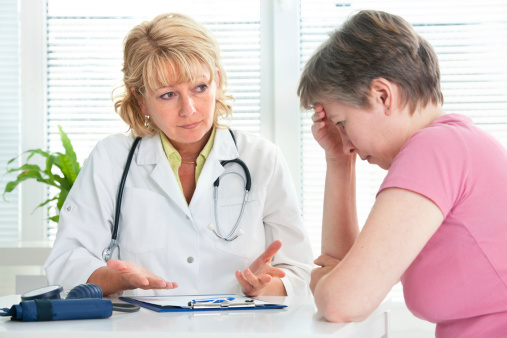 Five Tips for Avoiding a Misdiagnosis and Getting Your Doctor to Listen - Harrison White, P.C. Misdiagnoses are among the leading causes of medical malpractice lawsuits. When a diagnosis is missed or delayed, the results can be tragic. However, as a patient, you can play an active role in ensuring you receive the best care and the most accurate diagnosis. This begins with your initial visit to the doctor. Leana Wen, a physician with George Washington University Hospital and the author of, “When Doctors Don’t Listen: How to Avoid Misdiagnoses and Unnecessary Tests,” estimates that your doctor will interrupt you within the first 10 seconds of your conversation. Ten seconds does not give you, as a patient, much time to discuss your symptoms or to ask important questions you may have about your diagnosis, care and treatment. In fact, 10 seconds does not give you much time for anything. Perhaps it is the pressure to see more patients that often leads doctors to rush through their sessions and make diagnostic errors. According to Right Diagnosis, a study released in July 2004 by HealthGrades found that “failure to rescue,” or the failure to diagnose someone in time for proper treatment, was the most common patient safety incident, with 155 incidences per 1,000 hospitalized patients. A survey by the National Patient Safety Foundation in 1997, meanwhile, found that among people reporting a medical mistake, 40 percent reported a diagnostic or treatment error. Some of the latest and most troubling research, however, comes from the National Center for Policy Analysis, which reported in a May 2013 article that an estimated 10 to 20 percent of medical cases are misdiagnosed. The Center’s analysis found fatal diagnostic errors accounted for 40,500 deaths each year — equal to the number of breast cancer deaths in the U.S.
As a patient, you are a consumer in the health industry. And as with any other industry, it is your responsibility to demand proper service and treatment. Many diagnostic errors are blamed on poor communication or a lack of information. Your job is to ensure your doctor understands why you are there and that all of your needs and concerns are addressed. Prepare your case in advance. Before you arrive at the doctor’s office, prepare yourself. Write down all of your symptoms and include details about when they began, if they have worsened or become better, and any changes in your life that may have affected your health. Plan what you are going to say. Tell your story concisely. Within that crucial first 10 seconds (before your doctor interrupts you) state your main concern, when you noticed it, and how it affects your life. Expand on your answers. Your doctor may ask a yes or no question, but answer fully with all necessary details whenever possible. Ask your own questions. Don’t only answer questions. Ask your doctor what they think, how your symptoms may be related or what diagnostic options they are weighing. Use simple, not complex language. Clear communication is crucial here. Don’t use terms you heard on television or read as you were trying to diagnose yourself online. Talk to your doctor as if you were talking to a friend. Leave as little room for confusion as possible. Write down your doctor’s recommendations, diagnosis and suggestions. You may forget some of the details addressed as soon as you walk out the door. Even those who do everything they can to communicate effectively with a doctor may end up becoming the victim of a misdiagnosis. If you believe this has occurred to you or a loved one, it is important to contact an experienced South Carolina medical malpractice attorney and seek a thorough review of your case.